Three 180-gram LPs in glossy triple-gatefold sleeve with download code. 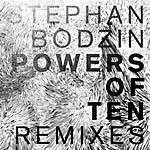 After the success of Powers of Ten (HERZ 050CD), Stephan Bodzin's 2015 full-length, the German tastemaker has now invited a key selection of artists to remix tracks from it. The original album was released on Bodzin's own Herzblut Recordings and was a hugely personal affair that has been played far and wide by DJs and danced to by clubbers all over the world. Things kick off with Ellum Audio co-owner Maceo Plex and Shall Ocin, who flip "Powers of Ten" into a serene and slow-burning track full of spiritual synth-lines and heavenly pads. Spanish pair Edu Imbernon and Coyu work their magic on "Wir" and reimagine it as a sumptuous and slow-burning tech track with a droning bassline and cosmic melodies. Influential Crosstown Rebels act Fur Coat tackle "Singularity" and cook up a brooding, elongated main-room track that locks the listener into its groove and never lets go. Long-time Bodzin collaborator and friend Marc Romboy makes "Ix" into a tense tech tool that balances on a knife-edge as menacing bass roams and rolls below. Cocoon team and live specialists Extrawelt make "Blue Giant" into a spooky minimal cut full of haunting atmosphere. Festival-headlining Second State pair Pan-Pot offer lots of tense groove and somber machine melodies on their version of "Zulu." A dark remix from Max Cooper, an intense synth jam from Agents of Time, a typically beautiful and musical offering from Dominik Eulberg, and remixes by Nicolas Masseyeff, D-Nox & Beckers, and Victor Ruiz are also included. This collection plays out almost like a mix, taking the listener up and down and through many different styles of electronic music, each as absorbing and essential as the next, and that's all thanks to the on-point and informed A&R of label boss Stephan Bodzin. 2019 repress; Pressed on 180-gram vinyl; includes download code. 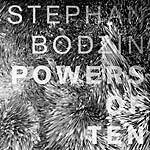 German techno mainstay Stephan Bodzin unleashes his full-length musical vision on the world in the form of Powers of Ten, providing another great insight into the melodically rich mind of this modern great. Bodzin says, "Powers of Ten has been with me all my life and is named after a book that has been my background hiss, its confusing truth is my only real faith and its infinity shows me its finiteness. The album is about harmonies, melodies, rhythms. It is an homage to Bob Moog, full of techno beats and sounds and space and party and ecstasy and dancing and listening, and crying and feeling. It is a journey, a philosophy of life, a view of the world, a vague perception. It is my wife, my children, my family, my friends, my passion, my enemy, my greatest fulfillment, my fear, my deepest peace, my power, all my love." As such, this album is hugely personal and is filled with cerebral messages and well-thought-out concepts. All this shines through and makes the listening experience all the more engaging from start to finish. Kicking off with the spine-tingling chords and louche beats of "Singularity," cuts like "Lila" then continue to confirm that Stephan Bodzin has a classical understanding of melody that is way above average. "Blue Giant," "Wir," and "Ix" all manage to be uplifting and thoughtful while simultaneously driven and groovy, and "Birth" comes on with a hymnal high note, long-tailed pads, and subtly shifting beats. The ghostly grooves of "Zulu" mark the majestic midpoint of the album, which then continues to seduce with spiritual synths and more beautiful melodies on cuts like "Odyssee" as well as the album's standout title-track. 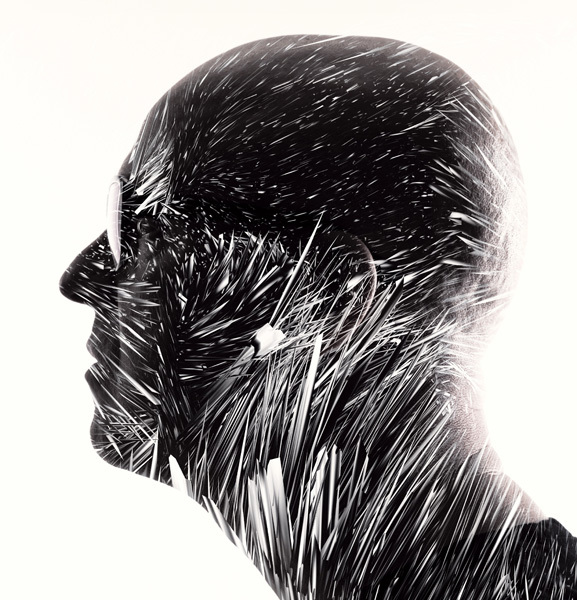 Unfolding coherently and in soothing fashion, this album once again proves that few producers in the modern world have a knack for melody and an ear for sonic ingenuity quite like Stephan Bodzin. 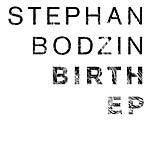 Stephan Bodzin presents the Birth EP, released in advance of his 2015 album Powers of Ten. The hypnotic and beautifully melodic "Birth" rolls along at an inviting mid-tempo pace. Smeared pads and bendy synths lead up to the skies and vocal coos add an angelic feel to the clean, crisp groove before a soothing breakdown builds tension. A subtly euphoric affair that cannot fail to sweep you off your feet. German duo Super Flu aka Herzblut Recordings regulars Felix Thielemann and Mathias Schwarz deliver a remix full of big chords, squelchy synths, watery droplets, and plenty of deep dancefloor drama. Stephan Bodzin's touching "Sungam" hit the Resident Advisor top 10 twice in 2014 and is still in the box of many jocks! This is the long-awaited single release including three new interpretations of the opening track of the 10 Yrs Systematic compilation (SYST 020CD/101EP, 2014). In addition to the compulsory beatless original version produced by Bodzin himself there are respectful remixes by Mobilee figurehead Rodriguez Jr. and Crosstown Rebels' shooting stars Fur Coat. Special transparent color disc. Stephan Bodzin's stunning full-length debut album Liebe Ist takes off the gloves and bares the wicked part of his personality. The first results are two irritating and ingenious tracks named "Bremen-Ost" and "Station 72." Alluring sounds with a mind-boggling aura emerging as thrilling dancefloor injections! Mental disease was never this fascinating before. 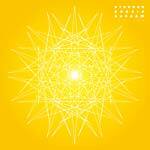 This is the first full-length release by Bremen-based producer, Stephan Bodzin, label-head of Herzblut. Bodzin has spent many years as the man behind the scenes who has helped countless techno artists to launch their successful careers. He released his first 12"s in 2006 and founded his label, which roughly translates to "blood from the heart," or "commitment." The euphoria that his first tracks caused has been widespread and the list of top-notch DJs who have freaked out to his music is endless. Stephan Bodzin has created his very own and unique electronic sound, which combines club-functionality and deep musical emotion in a very special and surprising way. Keen melodies and an embossed and sometimes histrionic beauty stand next to rumbling basses and fey dissonance. There is no way to pigeonhole the Bodzin sound into one of those well-worn musical genres. That's why Bodzin himself describes his debut album Liebe Ist... ("Love Is...") as "...an album of tones and melodies, an atmospheric musical approach, which isn't shackled by the Zeitgeist." The 11 tracks on this album, which is also released on a self-confident triple-vinyl set, were produced within 6 months. Liebe Ist... is the next logical step for Bodzin, who is now concentrating on his own career for a change. And on listening to this great album, you'll definitely want to congratulate him on this decision. Stephan Bodzin's countless productions and co-productions have built him a very illustrious fan base including the biggest names in the business. 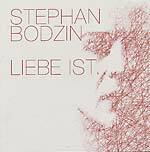 The next big step for Stephan is to release his very first solo artist album called Liebe Ist..., out on Herzblut on triple vinyl and CD. This 12" is the first irresistible single taken from the album.